I have a pile of French and Spanish finals to start grading so naturally I decided to do my nails. Most people are probably leaning towards dark colors in fact I just had Chanel's Black Satin on a few days ago but I just love white nails. 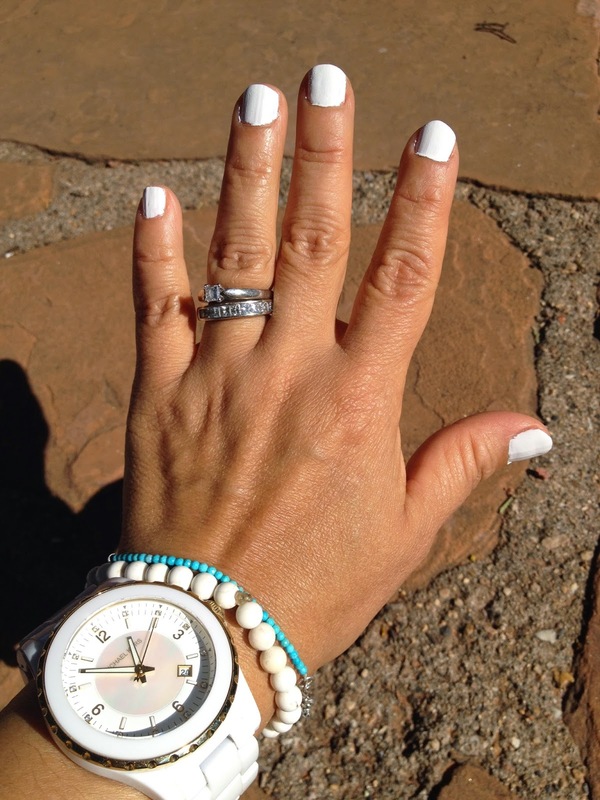 Avon's Iceberg Gel finish polish is my pick this week. I have on 2 Sally Hansen purples. I painted the ring finger a lilac shade and the rest are a frosted purple.